Cleveland toasts the NBA champion Cavaliers today. The victory parade marks the end of a grueling season filled with ups and downs. There were challenges on and off the court. Some were very real (making a coaching change partway through the season). Some were manufactured (the drama around Kevin Love from selfies to Banana Republic modeling). In the end, the team came together and won the whole damn thing, ending Cleveland’s championship drought. We face similar challenges as investors. We won’t win every game (and sometimes the folks with the “best” records come up short when it counts). We will run into challenges real and imagined. There will be 20%+ drawdowns in the stock market. The media will do its best to worry us, giving low probability hypothetical disasters unwarranted exposure. At the end of your investing journey, where’s your parade? It ain’t coming. There’s no parade. There’s no medal. You don’t even get a participation ribbon. This is one of the reasons sticking with a financial plan is so difficult. There’s no clear win. Even when we accomplish our investing goals we look at how much better we could have done if we did something different. What if I had timed the market perfectly? What if I had invested in [super-hot sector] after I read that Barron’s article? Keep in mind that there is no one ‘right’ way to achieve investing success. 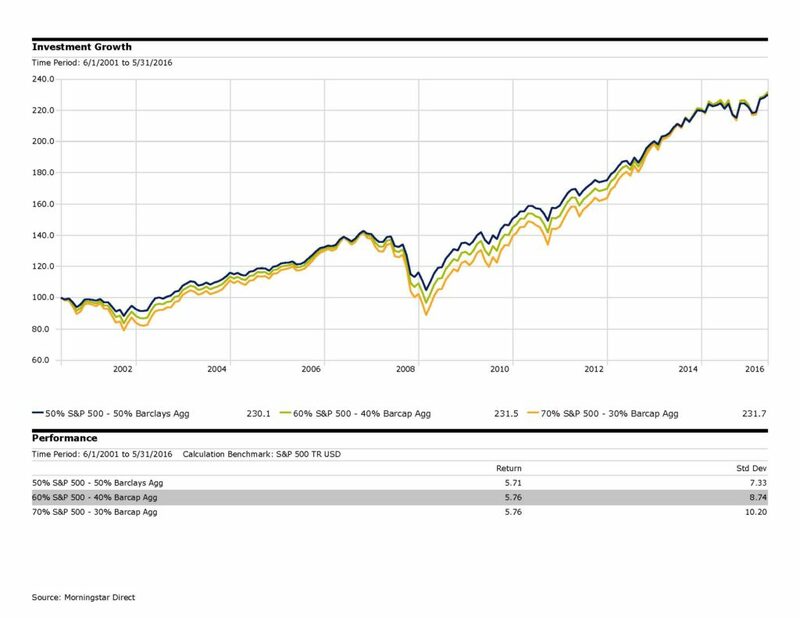 Over the last 15 years, a 50%, 60%, or 70% allocation to equities all would have gotten an investor to the same place. Would each of these investors have been able to go 15 years without tinkering with their portfolio, though? Would the 70% investor have gotten scared out of the market in 2008? Would the 50% investor have chased returns during the rebound after the tech bubble? This is just one snapshot in time. What will happen to these allocations over the next 15 years? No one knows. What I do know is that I will enjoy today’s parade in Cleveland.